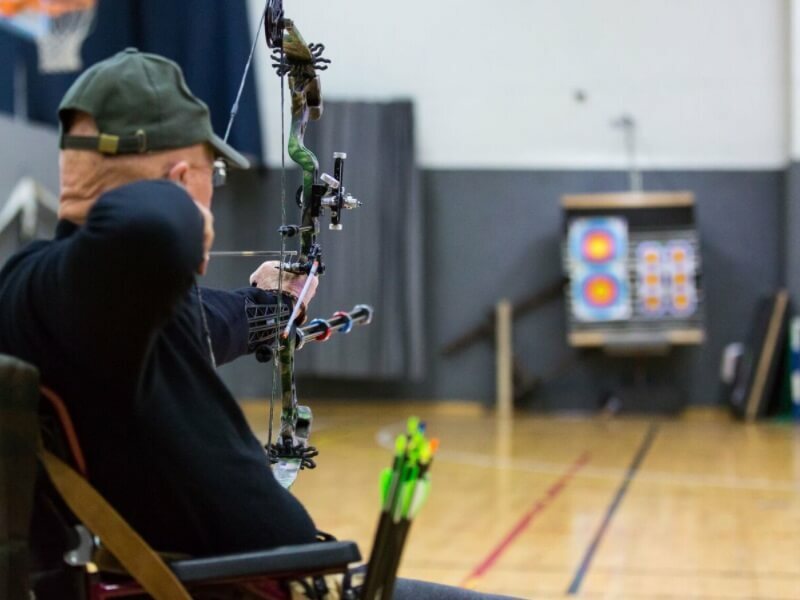 For both standing and wheelchair bound veterans archery is a sport of physical and mental strength. At Beit Halochem they train with the best coaches in the country, themselves former champions in the field and have represented Israel in the Paralympic Games. Please note that for donations to be tax deductible they must be channeled through our local Friends Organization in your country of residence. ZDVO Beit Halochem Australia has recently received tax deductibility status (DGR1). All donations over $AU2 are fully tax deductible. You can boost your donation by 25p of Gift Aid for every £1 you donate at no extra cost to you. This can be done by declaring you want to Gift Aid this donation and any donations you make in the future or have made in the past 4 years to Beit Halochem UK. You are a UK taxpayer and understand that if you pay less Income Tax and/or Capital Gains Tax then the amount of Gift Aid claimed on all your donations in that tax year it is your responsibility to pay any difference. Gift Aid is reclaimed by Beit HalochemUK from the tax you pay for the current tax year. Please note: this declaration is only valid if BHUK have your initial, surname and home address. Friends of Israel Disabled Veterans (FIDV) – Beit Halochem is committed to caring for Israeli servicemen and women disabled in the line of duty, and victims of terror attacks. Beit Halochem centers provide therapeutic treatments, sports and recreational facilities, cultural and educational programs, scholarship support, and family-oriented activities to help them resume lives of purpose and dignity. In the United States, FIDV – Beit Halochem [501 (c)(3)] is the only authorized organization whose purpose is to support the rehabilitation of disabled Israeli veterans and victims of terror through the Beit Halochem centers in Israel.